Biomechanical assessment looks at the natural way the body and specifically the lower limb and foot operate when we walk. Pain in the foot, ankle, knee, hip and even in the lower back can be as a result of a structural or “Biomechanical” abnormality. This abnormality sometimes occurs as a result of, for example, sports injuries. Alternatively, people are born with a biomechanical problem but do not develop symptoms until later life. We carry out biomechanical assessments to determine the condition or problem and then often correct or accommodate this with the use of insoles or orthotics which fit into a patient’s footwear. Patient’s often benefit from self treatment for certain conditions which may include exercises. We will discuss your individual needs at your assessment. 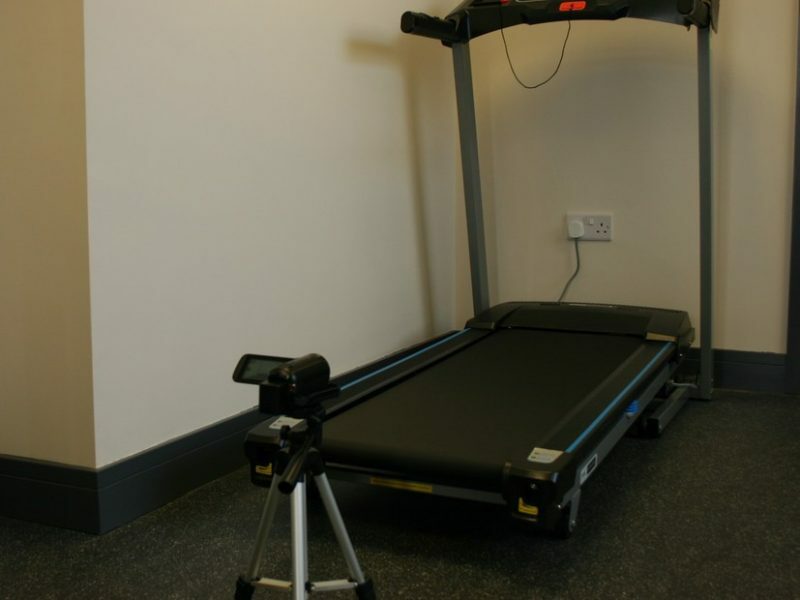 Our Broughton practice is equipped with a professional treadmill and high definition camera so we can record a patient’s “gait”. This allows us to analyse in detail the way they walk and helps to identify abnormalities and / or pathology. Using video gait analysis we can prescribe the most appropriate course of treatment taliored to a patient’s individual needs. In our experience many biomechanical / gait abnormalities and sports injuries can be treated with an “off the shelf” orthotic which can be prescribed and fitted at your assessment so treatment can begin straight away. These orthotics are relatively cheap as they do not require an individual impression of the patient’s foot to be made. In a small percentage of cases, a more “tailor made” orthotic maybe required to treat a patient’s biomechanical condition. Should this be the case, we will discuss with you your needs and the likely costs prior to treatment commencing. 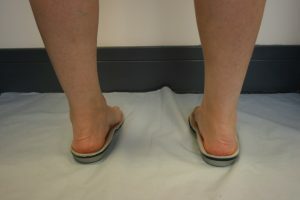 Below is an example of how an off the peg orthotic can help dramatically improve the position of the feet during gait. This allowed the patient to walk without pain.